Heat waves. Droughts. Wildfires. Wildly varying snow packs and weather patterns. These are all too familiar, especially in California, but are they the effects of global climate change? And if so, are they a “public nuisance” under federal common law? 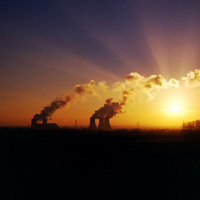 The United States Supreme Court has recently addressed the latter question — with a resounding “no.” It unequivocally stated that courts are not the venue to determine national greenhouse gas emission standards. American Elec. Power Co. v Connecticut (June 20, 2011, No. 10-274). So, where should these determinations be made and challenged, you might ask? The Court made it clear that this falls on the United States Environmental Protection Agency (EPA). See Massachusetts v Environmental Protection Agency (2007) 549 US 497. But the news is not all cheery for business — they won’t have a clear regulatory direction from the EPA until at least 2012. This delay on regulatory clarity will also hurt the renewable energy sector. In California, we have our own law, AB 32, which requires greenhouse gas emissions in California to be reduced to 1990 levels by 2020 (a 25% reduction) with mandatory caps starting next year. But for regulations on transborder effects or out-of-state activities, energy sector stakeholders will have to wait until the EPA issues its regulations next year. The best chances for private citizens wishing to see change not in their climate, but in environmentally protective measures, will once again be to wait for state and federal lawmakers to act. And if they don’t do so appropriately, the Court left the door wide open to appeals of such decisions. The Court has yet to express a view on climate change science, but it interestingly cited to the EPA’s conclusion that “compelling evidence” supports the theory that climate change is man-made and may result in serious consequences if not limited. Maybe this means the Court will listen to climate change arguments soon. On public nuisance actions, check out CEB’s California Real Property Remedies and Damages, chap 11 and California Attorney’s Guide to Damages, chap 5. On AB 32 and global warming law in California, turn to The California Municipal Law Handbook, chap 11.